GKA5 and FRT49 certificate - 28 July 1962. 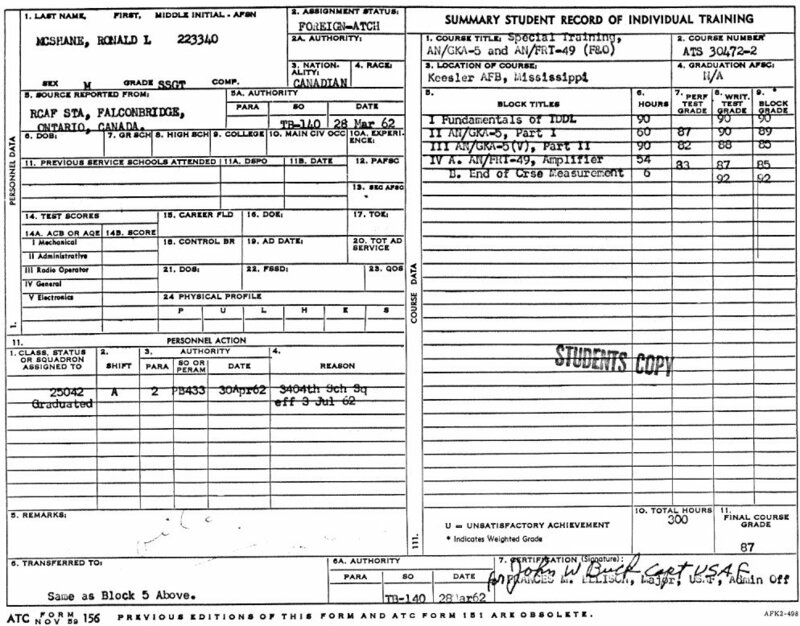 Report Card for the GKA5 and FRT49 trainign course - 28 July 1962. 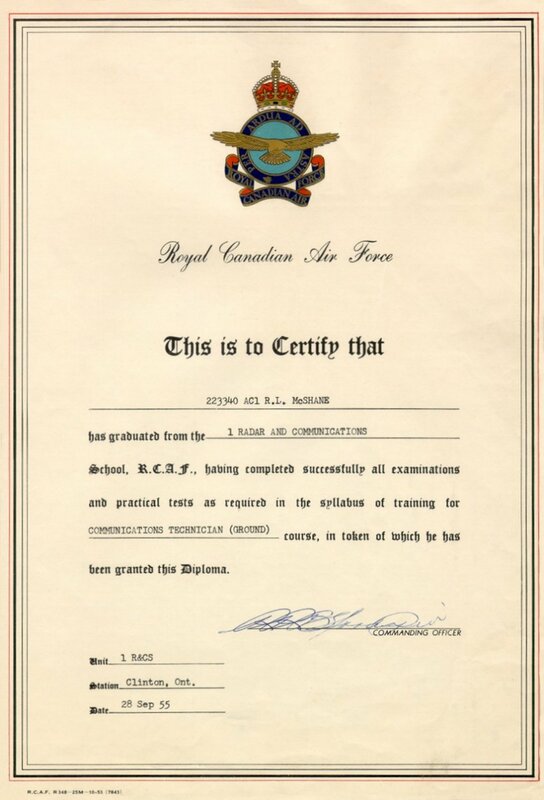 Comm Tech Ground Graduation diploma - 15 July 1960. 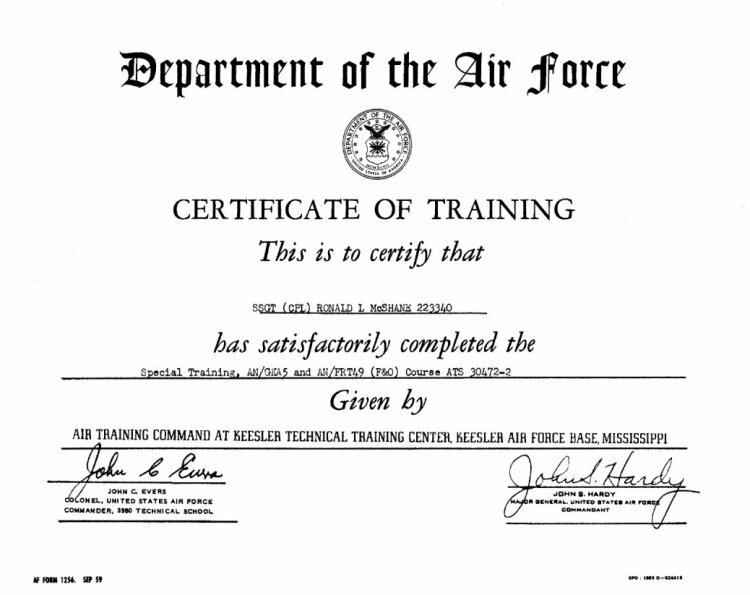 UHF/FMC-57 Graduation Diploma - 27 May 1960. 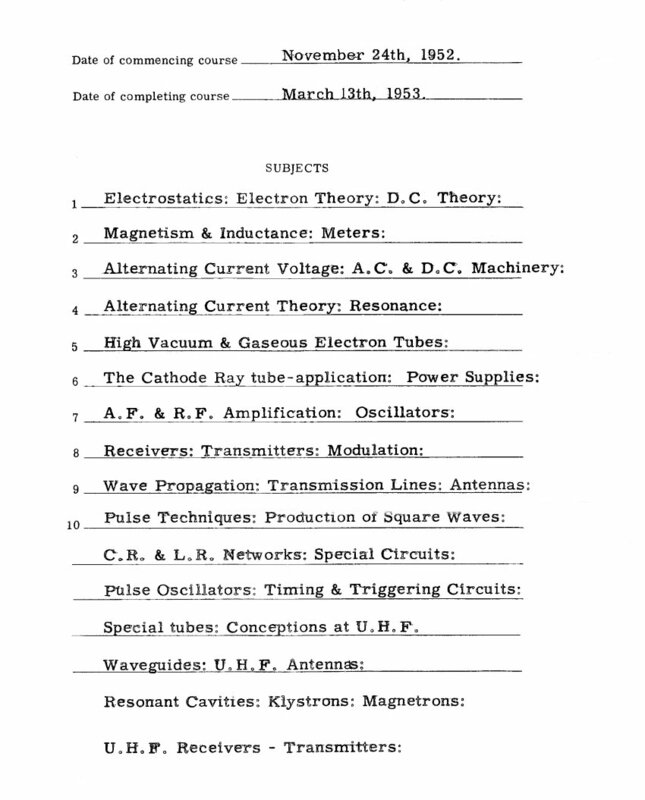 Comm Tech Ground Graduation diploma - 28 September 1955. 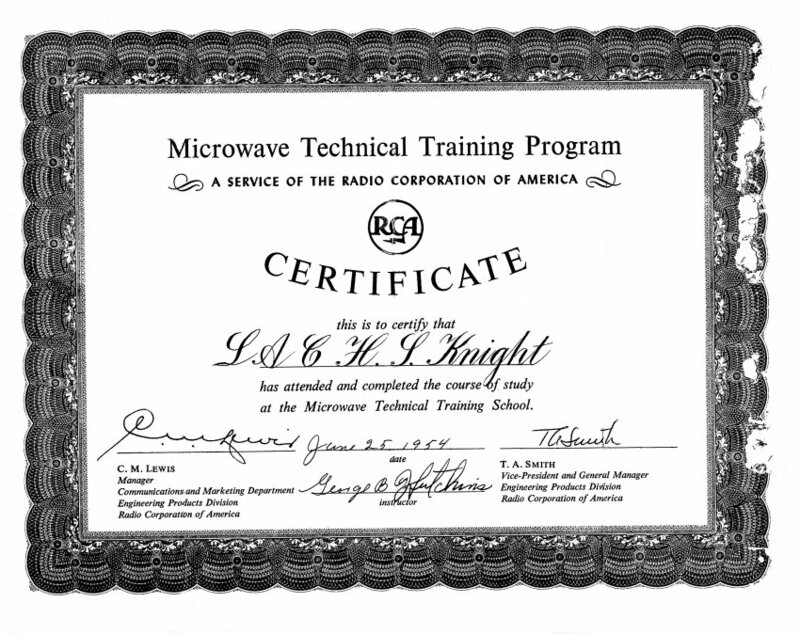 Mobile Microwave Course Diploma - 25 June 1954. 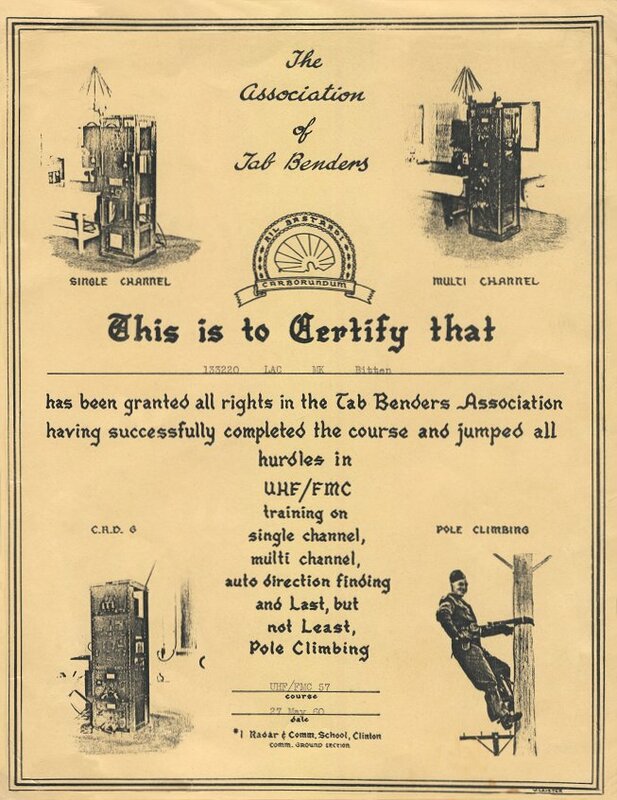 This course was taken at the RCA Victor plant in Camden, New Jersey. 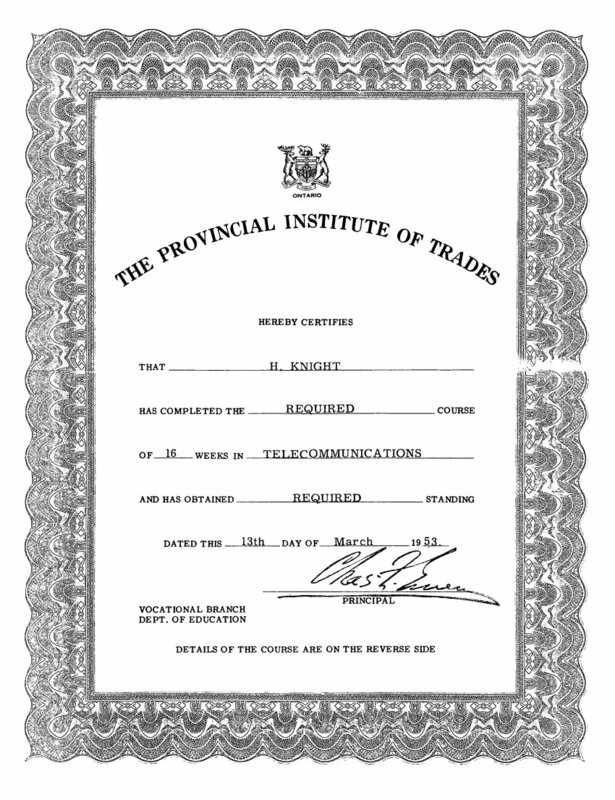 Ryerson College Diploma - 13 May 1953. 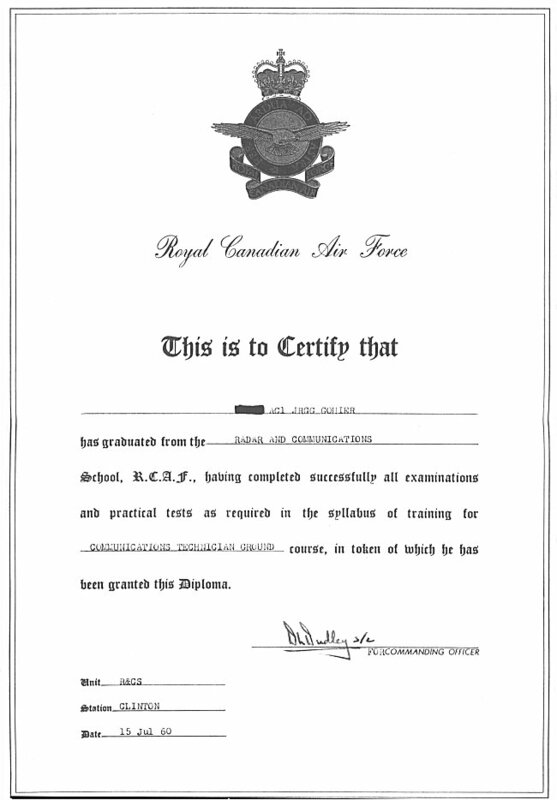 This course was part of a transfer upgrade from Performance Checker to Communications Mechanic Ground. Reverse side of Ryerson College Dipoloma - 13 May 1953.